Europe is full of legends and sagas that tell us a lot about the world and thoughts of our forebears. A legend that is often heard of is the one about the “devil’s bridge”. Briefly, a peasant trying to get to his herd on a mountain pasture found that the wooden bridge across a river gorge had been swept away by a recent flood. While he was wondering how he could cross the gorge, the devil appeared and offered him to build a solid bridge on the condition that he would then get hold of the first soul that crossed the bridge. The peasant agreed and the devil, within an instant, constructed the bridge and, with a big grin, placed himself in the middle of the walkway. The peasant, however, pushed his old billy goat over the bridge, which the devil, in a rage of fury, grabbed by the horns and took with him to hell. It is evident from this story that our forebears attributed a soul to other mammals but reserved a mind for humans. But how does science deal with the ancient distinction between mind and soul? An increasing body of cunning experiments indicates that humans may not be the only creatures to possess a mind capable of reasoning and self-awareness, and that a soul that allows its bearer to consciously experience basic emotions such as pain and distress may not be restricted to mammals, and possibly not even to vertebrates. Would such a devil’s legend also work with a lobster and a chef de cuisine? While it is not possible to know what it is like to be a lobster (or a billy goat), the capability for basic conscious experiences seems to be more widespread in the animal kingdom than previously thought. Daniel Bor ponders a problem that is not only of high academic interest, but could also have profound ethical implications. You might find yourself one day in a restaurant with friends and, feeling a little adventurous, you order a plate of fried octopus. The plate looks colourful, elegant and appetising. You dig in. The conversation turns to ethical issues around food – the journey it takes from the farm to your mouth, the conditions of developing world workers who might have fished for the food and so on. Then the topic of animal suffering turns up. One friend points out that the octopus has half a billion neurons, about as much as your beloved pet cat. Does this make you stop eating your dish? Should it? Issues like carbon emissions can be calculated, but it seems there’s no equivalent quantifiable measure to do the same for animal suffering. And how can we even know that the animal is in distress in the first place? Whether animals are conscious or not is a big deal. A billion tonnes of food derived from animals is produced each year, much of it via intensive farming. Many millions of animal experiments are carried out annually as well, including on primates. If no other species aside from humans is conscious, it doesn’t matter, because to experience suffering requires consciousness. However, if all the animals we potentially exploit for the food chain and for research had an extensive consciousness, and were suffering in ways similar to us, then the ethical implications would be vast. So how do we even make any scientific progress on this problem? In humans we can simply ask each other about experiences, and therefore use language as solid evidence for consciousness. With the possible exception of a handful of lab-trained great apes, we lack this key evidence in all other species. Instead, we need another route. One way to start is to take some behaviour that we know reflects consciousness in humans, and see if any other species show the same behaviour. This is indeed a useful approach, but unless we’re cautious it can lead to assuming other animals are both more and less conscious than they might actually be. 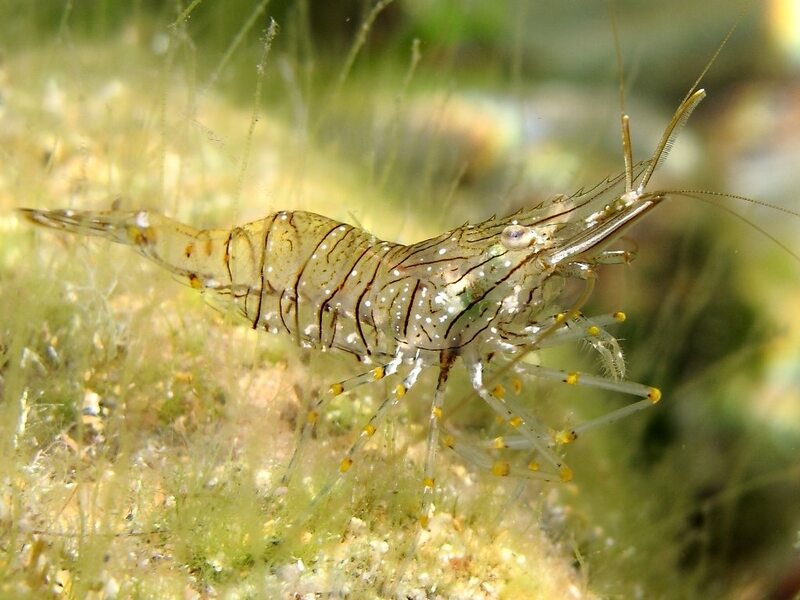 Prawns (here: Palaemon elegans, also known as the rockpool prawn) can respond for minutes to a painful stimulus, just as we can fuss over a sore body part long after the damage occurred, but is this a sign of consciousness, or merely an unconscious reflex? (Image credit: Roberto Pillon, scubafoto). If you apply a noxious substance, such as an acid, to a prawn antenna, it will keep rubbing at this for 5 minutes, significantly more times than the untouched antenna on the other side, or if that antenna has a local anaesthetic applied. Does this mean that the prawn was actually feeling the pain and thus was demonstrating consciousness? That’s one possible explanation, but it isn’t the only one. For instance, the prawn’s sustained behaviour might also be an unconscious reflex to some continuous sensory input from its antenna, perhaps with the instinctive purpose to clear it of some particle persistently stuck to the appendage. Many species have similar neural machinery to process pain as we do, and demonstrate adaptable behaviour to a noxious substance, such as rapidly learning to avoid the source of pain. A surprisingly broad range of species will even pay some cost to get access to pain-reducing drugs. For instance, zebrafish will move towards a previously fearful environment if they have been injected with a noxious substance and that environment is infused with an analgesic . All these complex behaviours are tentatively suggestive that these animals actually suffer, and perhaps ethically we should err on the side of caution and assume this is true. But again, scientifically, we have to acknowledge other, non-conscious, alternatives. Always, we should ask ourselves whether a simple artificial intelligence robot could be trained to generate the same kind of pain-learning-based behaviour as some animal, with no consciousness whatsoever . This video shows a crayfish jettisoning its claw to escape from a pot of boiling water. It is very easy to engage our own empathetic emotions here and assume that this animal is experiencing severe emotional distress to carry out such an extreme action. And such an intuition may be right. But scientifically we can’t conclude, from this behaviour alone, that this crayfish is consciously suffering (Video credit: Svetzari, YouTube). We also have the opposite problem of intuition when animals behave in ways that might suggest a lack of consciousness or suffering to us, but inside their minds they might have a very advanced form of consciousness – just one we can’t observe. Let’s say we devise some test of consciousness, and some species fails this test. Maybe that means it isn’t capable of consciousness. Or it means the animal isn’t interested in the stimuli, isn’t motivated to jump through the hoops of our particular test, or we’ve designed the experiment in a chauvinistic way, not accounting for the sensory differences between humans and other species. In short, a failure on any such test would not demonstrate a lack of consciousness or suffering, for a range of possible alternative reasons. So what specific examples do we have where we know some behaviour is conscious in humans, and we have observed it in other species? The most famous example is recognising oneself in a mirror, which doesn’t just demonstrate consciousness, but a high form of consciousness, that of self-awareness. In the lab this can be tested by applying a mark on the animal’s face in a way that is usually invisible to them, but becomes visible when they view themselves in a mirror. If they recognise what they see as themselves, then they might try to remove this strange facial mark. What other species pass this test? The list includes the great apes , monkeys , dolphins , and possibly also elephants . Perhaps most surprising of all, one study has demonstrated that magpies can also recognise themselves in a mirror . A video showing how a magpie passes the mirror self-recognition test. Corvids, including magpies, are considered the most intelligent birds with amazing problem-solving skills and also possessing what has become known as the "theory of mind" , the ability to view and analyze things from another individual's perspective. In sum, these abilities are strongly indicative of a form of higher consciousness occuring in these bird species (Video credit: New Scientist, YouTube). It is a reasonable assumption, therefore, that at least these species are conscious. I should emphasise again, though, that if a species doesn’t pass this test, we certainly can’t infer that they lack self-awareness, and over time, it’s highly likely that the above list of those species that can recognise themselves in a mirror will steadily grow. Another form of advanced consciousness in humans is metacognition, which is our ability to know the extent and limits of our own knowledge. Sometimes we’re very confident that we saw or remembered something accurately, and at other times we’re simply not sure. We can test this in other species by giving them something challenging to learn, such as a particular sequence of four pictures. Sometimes if they’re stuck, they can press a button to get a hint as to the next picture to choose, but doing this leads to a less desirable reward (a boring banana pellet), compared to getting the sequence correct without asking for a hint (a lovely sweet M & M). If we were doing this task, we’d ask for hints at the beginning when we’re learning the sequence, then not use them once we know the sequence, to get the more exciting reward. And that’s exactly what monkeys do as well . Great apes show metacognitive skills too , and there is even evidence that rats have this ability . Can we have unconscious metacognitive ability? In humans we would say no. In other species unconscious metacognition is highly unlikely, but possible. However, taken together with the mirror self-recognition evidence, there’s a very good case for primates to be classed as conscious, and many other mammals should be considered possibly conscious, given that rats show metacognitive ability. What would be ideal, given that animals that fail such tests tell us very little, would be some indirect measure of consciousness in other species. We have a reasonable idea of what brain areas correspond most closely to consciousness in humans. We need the thalamus, an information relay station in the middle of the brain, to enable consciousness in the first place, but the most general-purpose parts of cortex, in the lateral prefrontal cortex, and posterior parietal cortex, which activate whenever we’re performing a novel or complex task, are also closely associated with consciousness . So what other species share these brain regions with us? As you can probably guess, our great ape cousins have very similar brain structures to humans, followed by the primates generally, but many clever mammals, including the elephants and dolphins, also have extensive versions of analogous regions. So we might want to conclude that there’s a sliding scale of consciousness based on some similarity index between humans and other species, based just on these key consciousness-related brain regions. And perhaps there’s some mileage in this approach if it also includes brain size relative to body size, and is just restricted to mammals. But such an approach might be another form of chauvinism, discounting the possibility that brain structures distinctly different from the vertebrate blueprint could give rise to consciousness. Let me return to the octopus at the start of this article as a fascinating example. The octopus has neither a thalamus, nor any cortex to speak of, but that doesn’t mean its brain is puny. On the contrary, the common octopus has a highly advanced nervous system, even if it’s radically different to ours, with the majority of its neurons in its limbs. In line with this, it demonstrates highly intelligent, adaptable behaviour. Octopuses can learn just by observing the behaviour of others, and are inveterate problem solvers. A video illustrating the high level of intelligence observed in octopuses. If there are invertebrates with an advanced form of consciousness, octopuses are good candidates to look at (Video credit: TED-Ed, YouTube). Does this mean they are conscious, because they are so clever? Those animals that pass the mirror self-recognition test tend also to be the smartest animals around, aside from us. Is this because of some close connection between consciousness and intelligence? I believe so, but I also have to acknowledge the possibility that such a circumstantial connection might just mean that you need sufficient intelligence to pass such tests, whereas many other species who are less intelligent may nevertheless have self-awareness, just not in a way that they can show to us in such experiments. Whether the octopus is conscious or not, the existence of a clever “alien” like the octopus, should teach us caution in extrapolating too aggressively from our own perspective. While the octopuses' brain architecture is entirely different from that of vertebrates, their number of neurons rival that of many equally-sized mammals. Their high level of intelligence is also reflected in curiosity and inquisitive behavior, such as displayed by this specimen of Benthoctopus sp that got interested in the equipment of the deep-sea research submersible ALVIN. 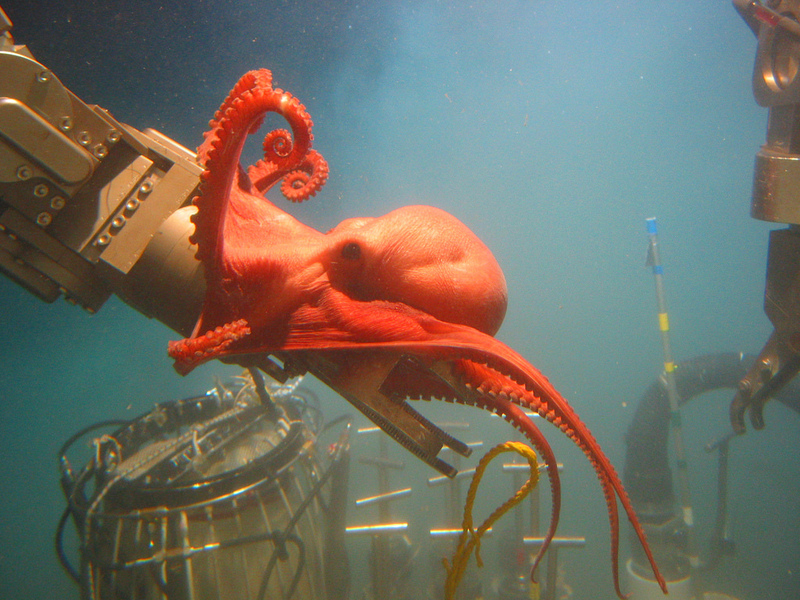 Since complex behavior usually correlates with complex information processing in the brain, a form of consciousness beyond that of basic emotions is considered to occur in octopuses (Image credit: NOAA, flickr). Another indirect attempt to explore animal consciousness is to make more general assumptions about how the human brain generates consciousness. Integrated Information Theory (IIT) is perhaps the most popular current neuroscience-inspired theory of consciousness . IIT equates consciousness with a certain combinatorial kind of information – that’s just what consciousness is, according to the theory. IIT also posits that consciousness requires a certain kind of network shape, which parts of the human brain have, but which standard computers don’t, though there’s no reason in principle why silicon networks of the right type couldn’t in the future support consciousness under IIT. IIT allows, in theory at least, for the calculation of the amount of consciousness that some being has. Immediately we run into problems here, though, since the calculations for anything but the simplest of creatures would take billions of years to run, and we’d need to have a very accurate recording of the animal’s brain network to even attempt this anyway. These are real problems, but alternative versions are being developed that will make the calculations practicable, and similarly, with sufficient anatomical study, we could make a good approximate guess of any brain’s network. We won’t have precise answers, but a decent guess might be good enough to make progress in understanding the extent of animal consciousness for any given species. Assuming for the moment that we can know the network architecture of some animal brain in sufficient detail, and that a version of IIT is calculable, we could then generate a number, for that species, to quantify how conscious it is. In time this would lead to a continuum of consciousness between species, presumably with humans at the top. However, even for an animal with just a handful of neurons, there would be some small level of consciousness. IIT is a controversial theory, which has its detractors (including me; for a discussion on its problems, see here), but there are now many empirical studies that have shown that informational levels in human brain-scans distinguish conscious states, for instance, being awake vs. being in a dreamless sleep . Such empirical studies have also worked just as well in the rat brain , providing further indirect evidence that consciousness might indeed be the continuum that IIT suggests. The bottom line is that we have a series of clues to suggest that at least some mammals, and the occasional particularly clever bird species, have capacities that in humans we’d categorically state reflects consciousness. And there is a rapidly growing literature that links consciousness with information levels in the brain, which in turn would suggest that there is a continuum of consciousness throughout the animal kingdom. Some researchers have argued that consciousness has an evolutionary advantage, because it provides the foundation for adaptable behaviour . If consciousness does indeed confer an evolutionary advantage then, from an evolutionary viewpoint, it does not make sense to propose consciousness to suddenly arise out of the blue (i.e. in the human brain) without any simpler precursor forms. But nothing here is definitive as yet, because we simply don’t know enough about human consciousness – so far. My view, though, is that the evidence is already strong enough for us to make informed ethical decisions. The notion that the subjective experience of pain or distress is not restricted to vertebrate species is also increasingly appreciated by politics. As of 1st of January 2013, the directive of the European Union on the protection of animals for scientific purposes is in effect and it explicitly includes octopuses (2010/63/EU). And since 1st of March 2018 a new animal protection law in Switzerland bans the boiling of lobsters and other crustaceans alive, or at least requires the animals to be stunned before they are put into the pot. Animal research for scientific advance is a tricky ethical question. I personally don’t experiment on animals, but I know that much scientific progress is made because of this. That progress could, in the long-term, benefit both human and non-humans with the medical advances discovered, which makes the question of its morality complex and nuanced. I think the case is a lot more clear-cut when it comes to factory farming. For me personally, given that I can live just as well without animal products in my diet, and that there’s a good chance that mammals especially, but possibly almost all animal species, are conscious and might suffer, it makes sense to become vegan. And I know of a few prominent researchers in the field (Christof Koch, Nicola Clayton) who have come to similar conclusions. So what about that octopus? It might not share my brain structures, my evolutionary history, nor my habitat, but the provisional evidence for close cognitive similarities in intelligence, play, and a host of other mental features makes me choose to err on the side of caution, so I won’t be eating any fried octopus anytime soon. That way I don’t contribute to the suffering of another possibly advanced form of consciousness. 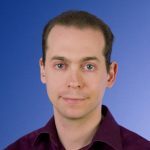 Daniel Bor is a neuroscientist at the University of Cambridge. He is interested in forms and mechanisms of consciousness and the author of "The Ravenous Brain", a widely acclaimed book on that subject. Daniel Bor is offering rewards for your donations! I will invite you to my next public presentation and offer you the opportunity to meet me personally after the talk. Signed copy of "The Ravenous Brain"
I will send you a free signed copy of my book "The Ravenous Brain". I will invite you for a tour of my department and scanning facilities, including a personal chat with me.